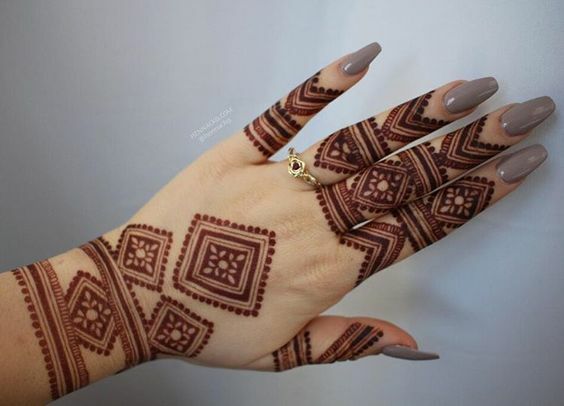 There are people who want something simple and subtle yet want it to stand out and grasp everyone's attention. 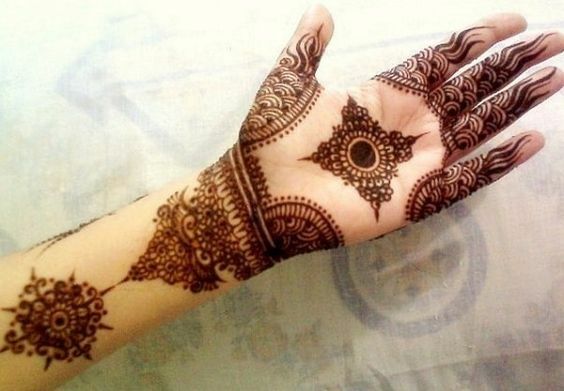 So, for those people here is one perfect mehndi design that is going to be your favorite. 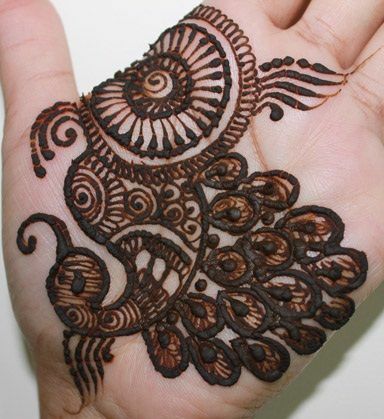 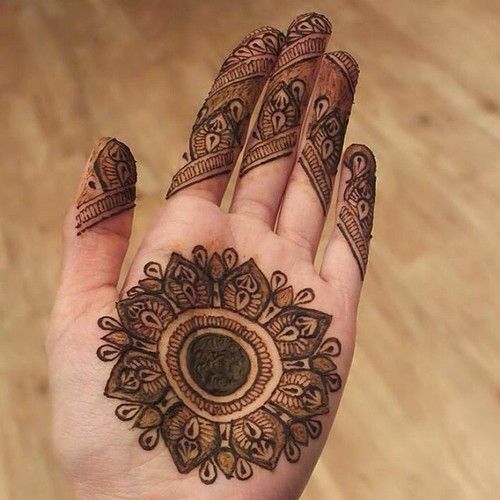 This circle mehndi design ahs thick strokes and is made on the back of the hand. 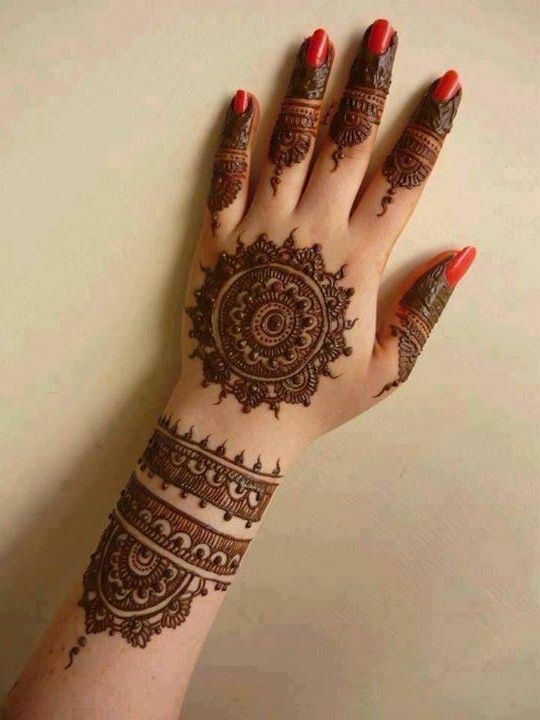 Vines are extremely famous when it comes to someone wanting a simple mehndi design for their hands. 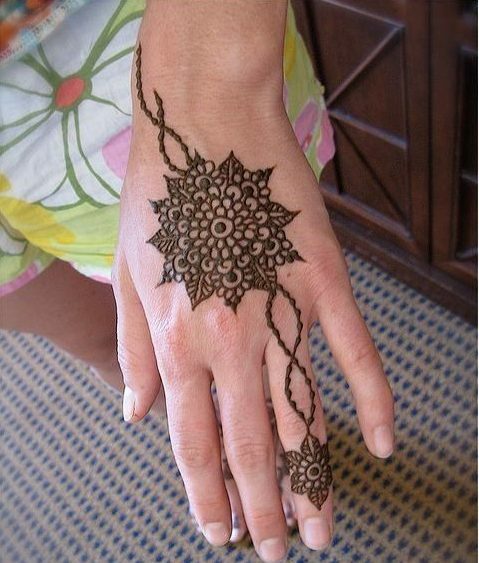 So, how about we incorporate the circular patterns in the vine design? 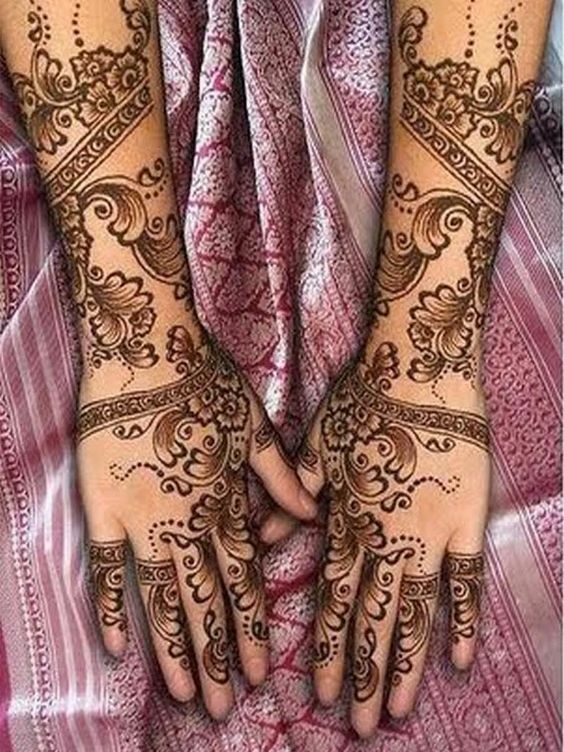 Here's how it will look and I am sure you're going to be in love with this design. 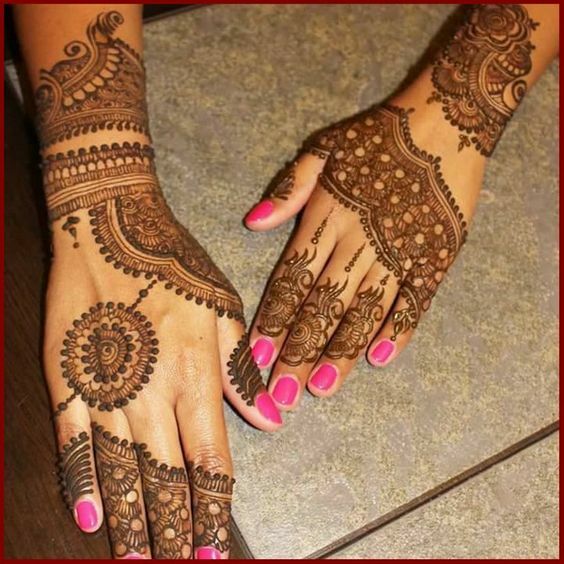 Circle mehndi designs are amongst the most loved mehndi designs as they are a perfect blend of tradition and style. 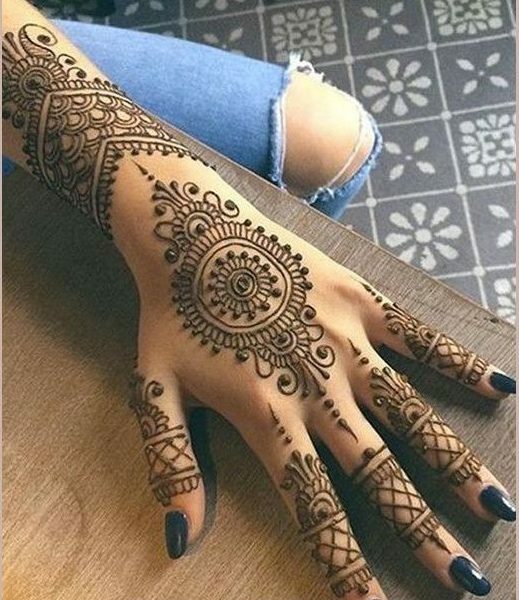 IF you are getting married and want something fun and stylish then go for this circle bridal mehndi design which has super artistic patterns. 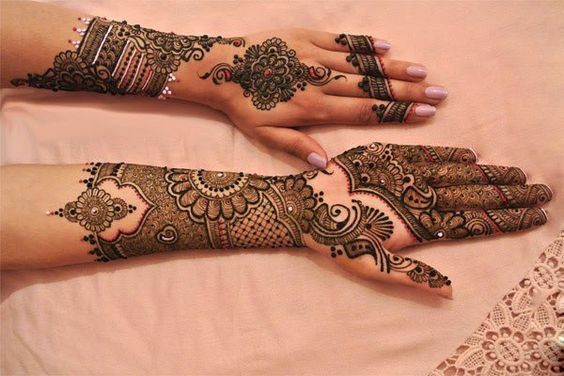 Choosing a bridal mehndi design can be a very hectic task as every bride wants a design that makes her hands looks pretty. 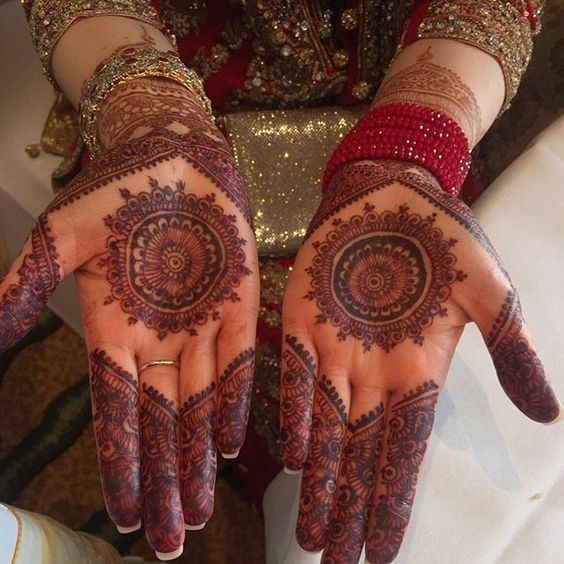 Look at this stunning bridal mehndi design which is a circle and has some amazing patterns to make your hands look beautiful on your big day. Circle mehndi designs are loved by almost every bride, however, there are also some brides who have no problem with the circle patterns but want their mehndi design to be very simple. 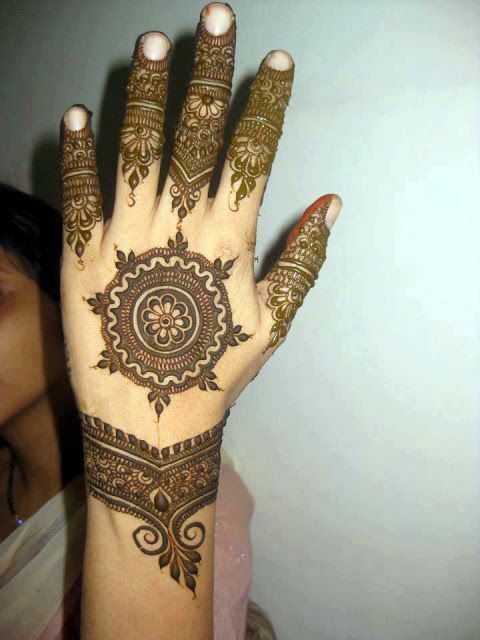 Here is a perfect design for such brides where you can see a very simple yet beautiful circle mehndi design. 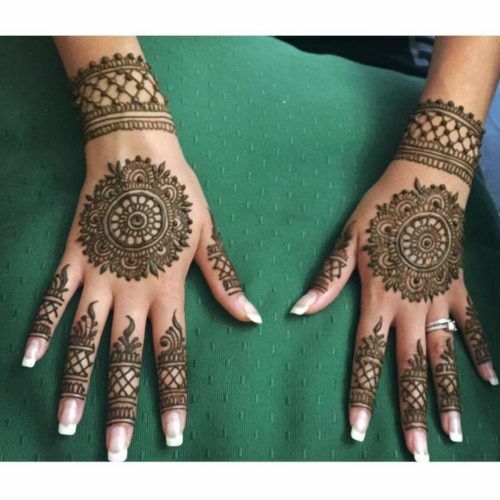 The circle or the mandala design look stunning on brides as they provide you the right amount of grace and elegance factor that you need in a mehndi design. 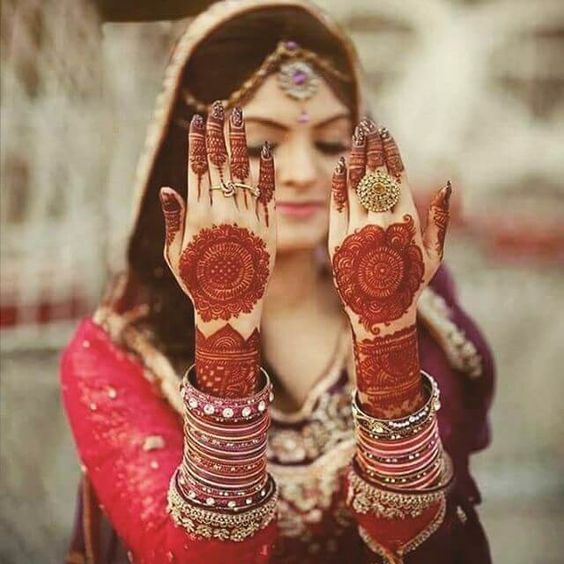 Look at this stunning bride that has the circle mehndi design on the back of her hands and looks absolutely stunning. 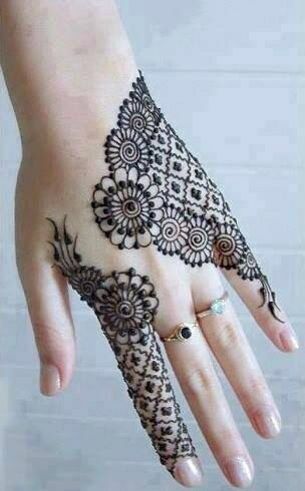 Here ios a little something but gorgeous for the back of your hands that you can flaunt on your big day. 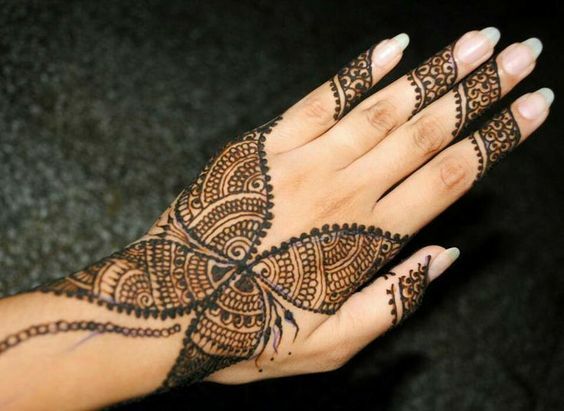 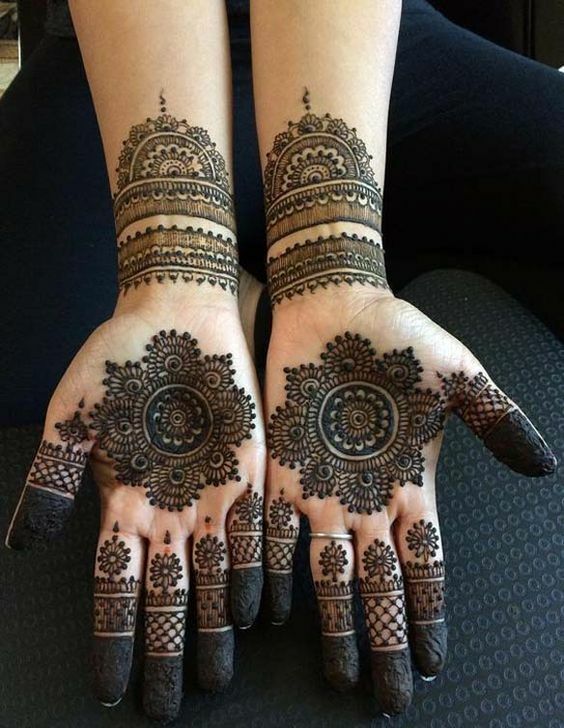 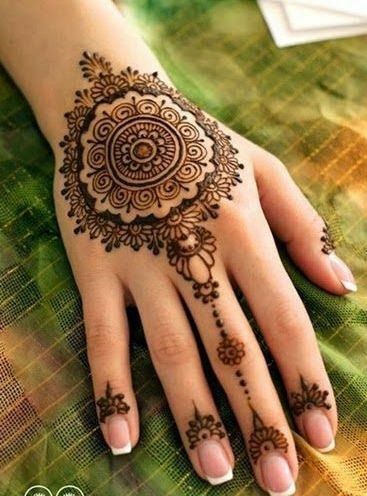 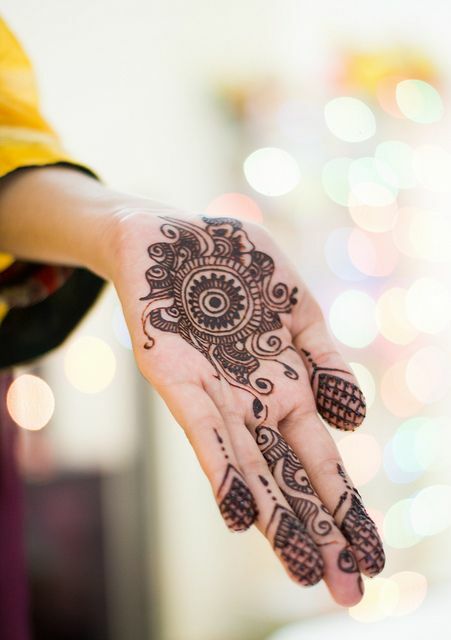 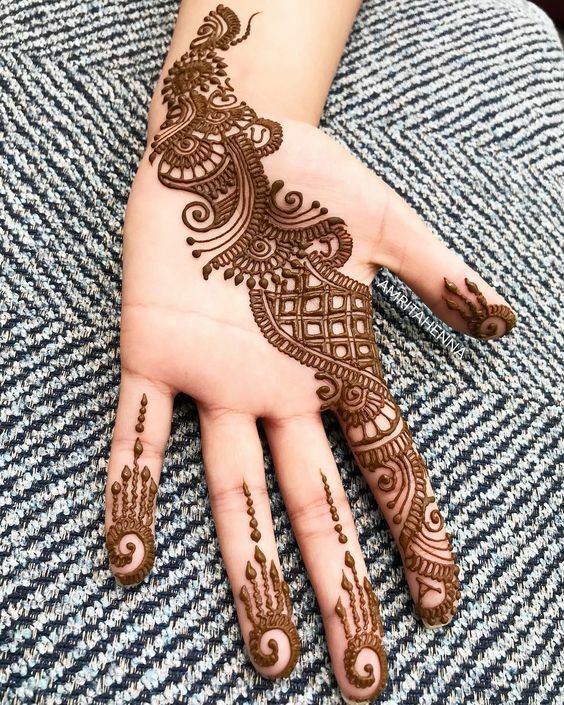 This mehndi design has a beautiufl circle made in the middle with lovely patterns and the fingers have some shaded patterns and some delicate patterns. 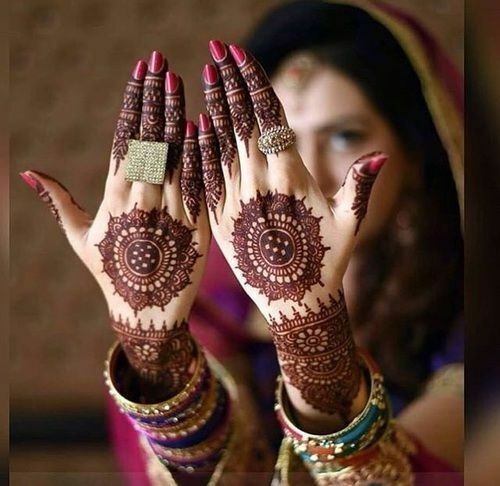 Some brides don't like getting heavy mehndi designs made on their hands and the reason sometimes can be the jewelry which gets hidden somewhere or doesn't really show through the design. 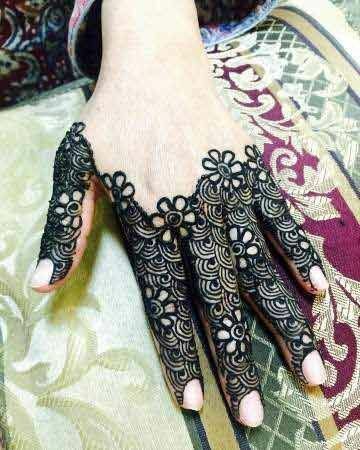 So, here is a beautifully simple design that brides can get made n their hands. 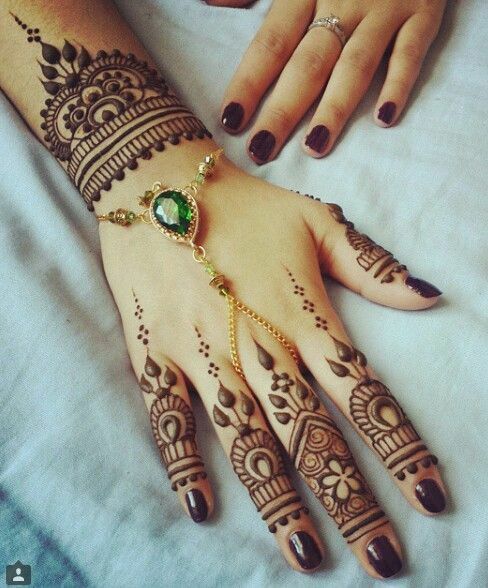 Here comes a yet another gorgeous mehndi design for brides who prefer simpler design on their hands for the big day. 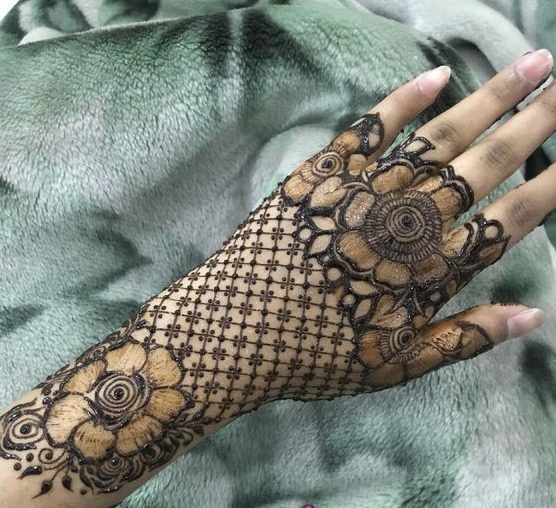 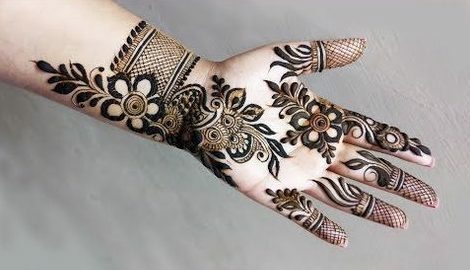 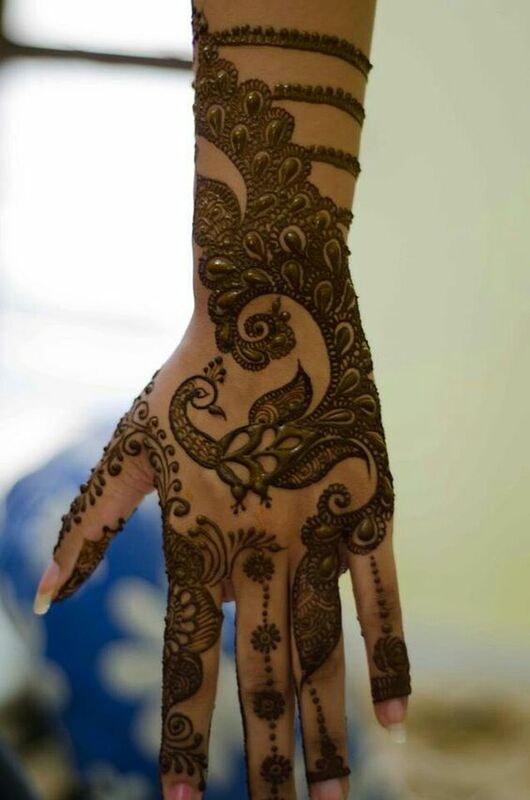 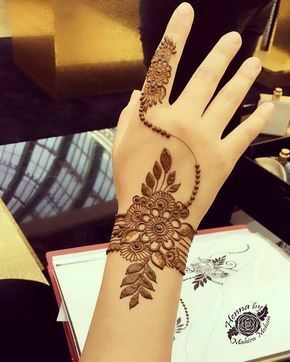 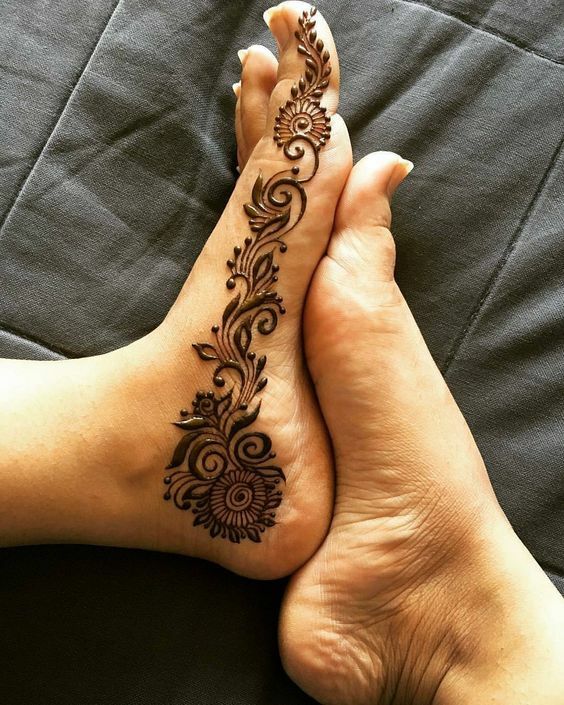 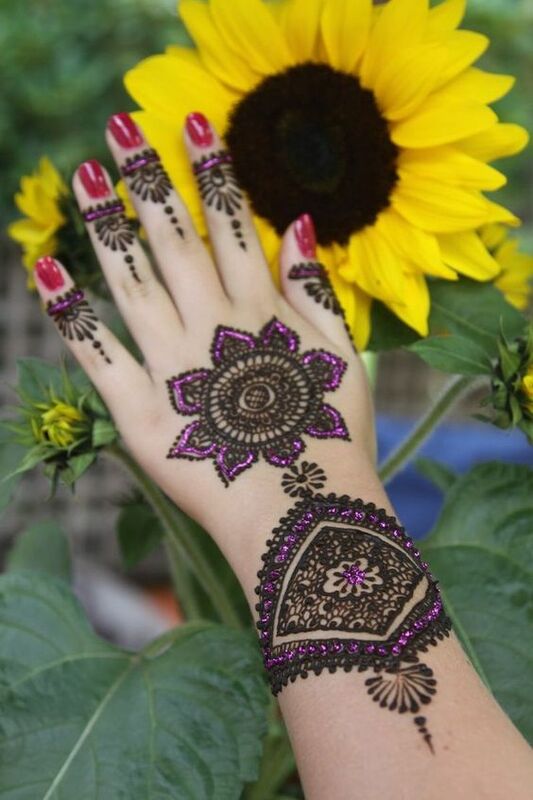 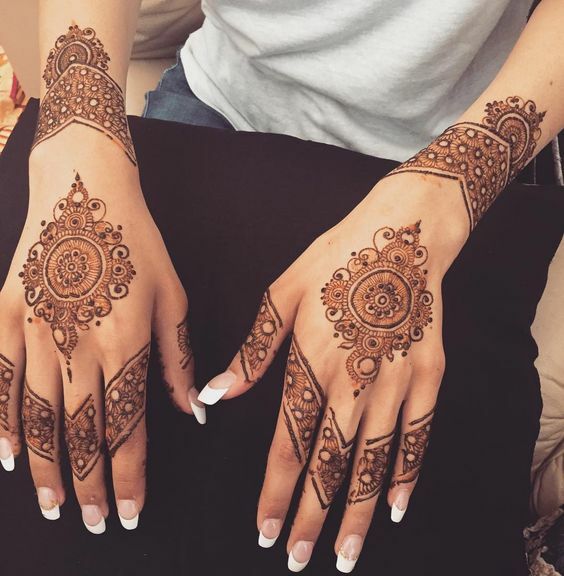 This mehndi design has been made at the back of the hand where you can see a big floral vine with some other intriguing patterns. 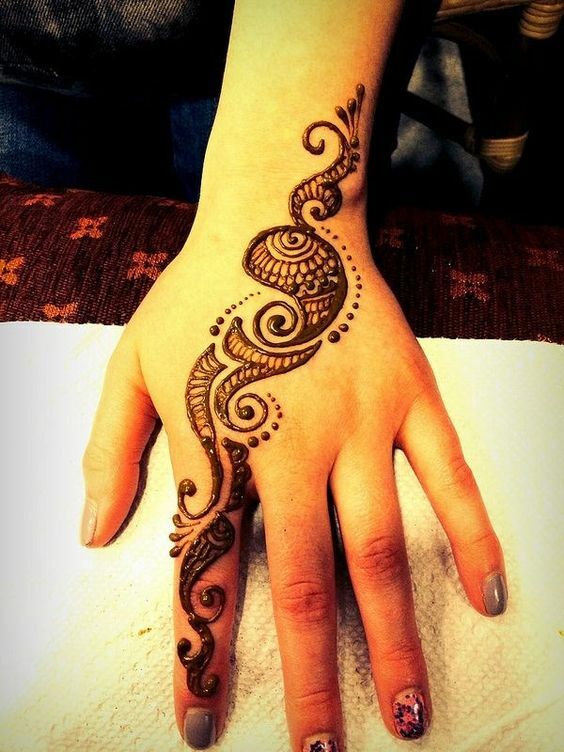 If you are sick of all those floral and vine mehndi patterns then attempt this Gulf style boxed mehndi design. 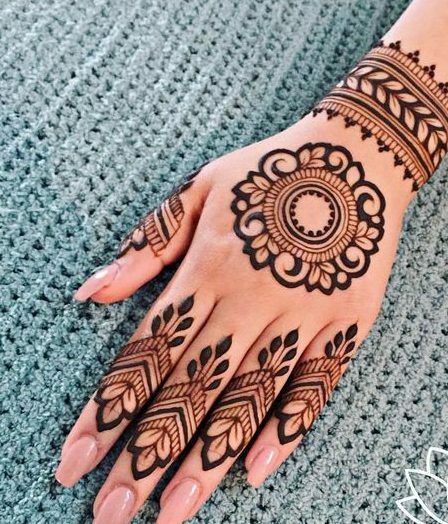 This design looks super unique and has geometric figures which make it look very striking. 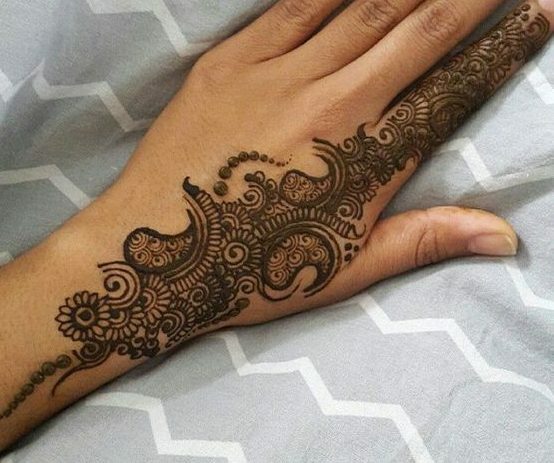 You can make this at the back of your hand. 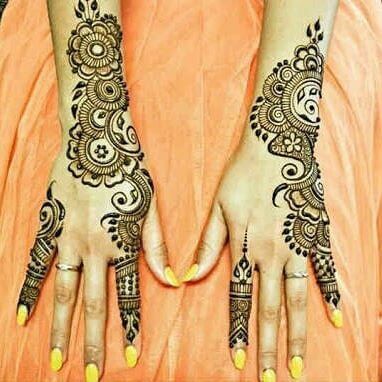 Not everybody likes boring and old traditional mehndi because some people are always up for trying out new and fun stuff. 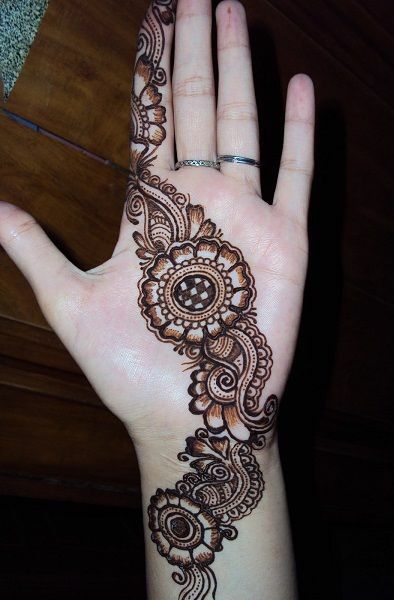 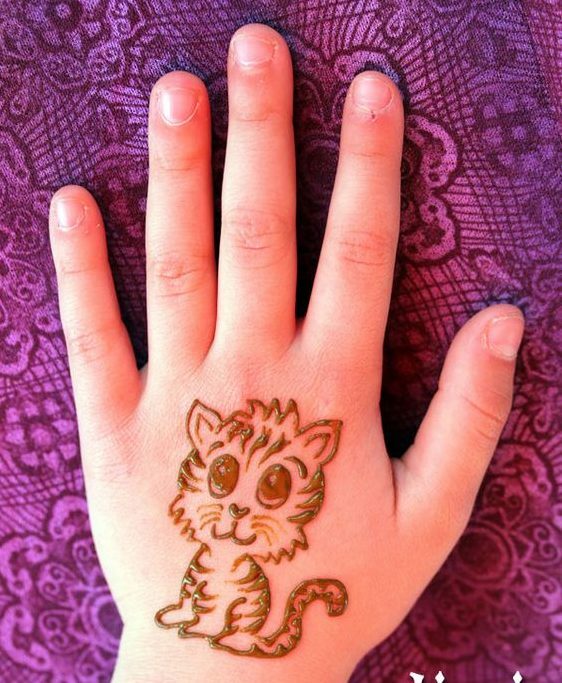 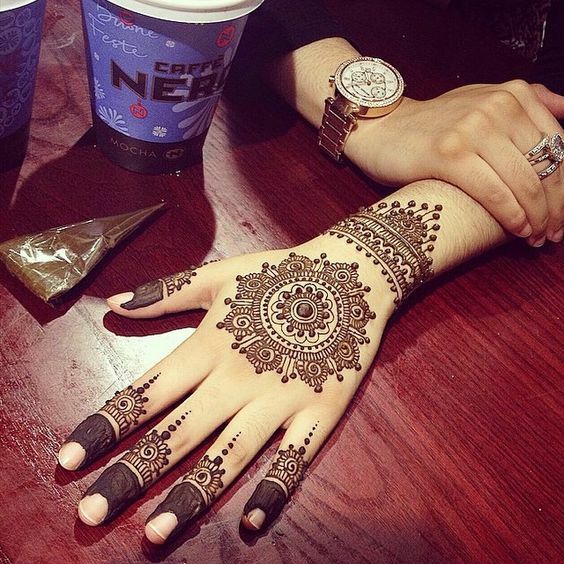 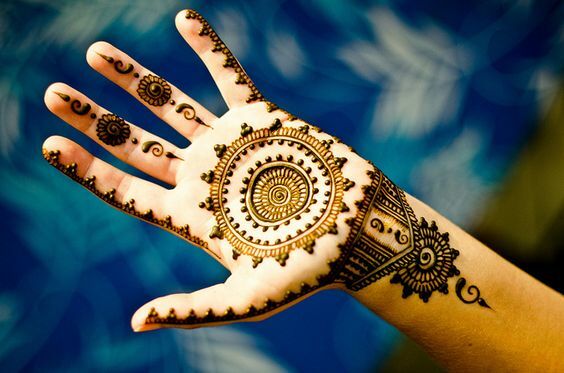 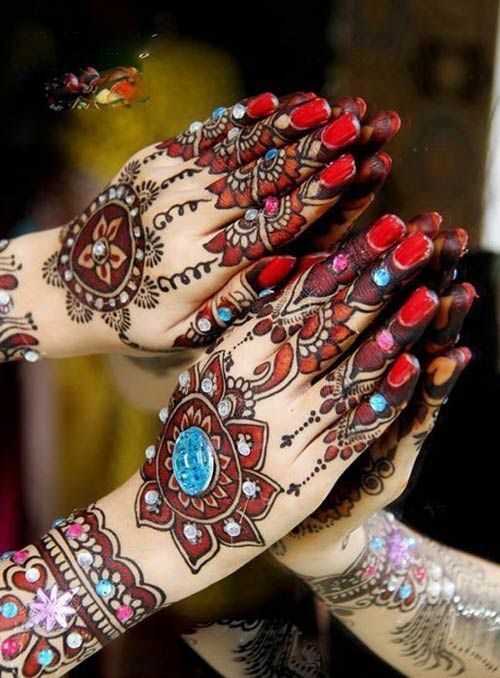 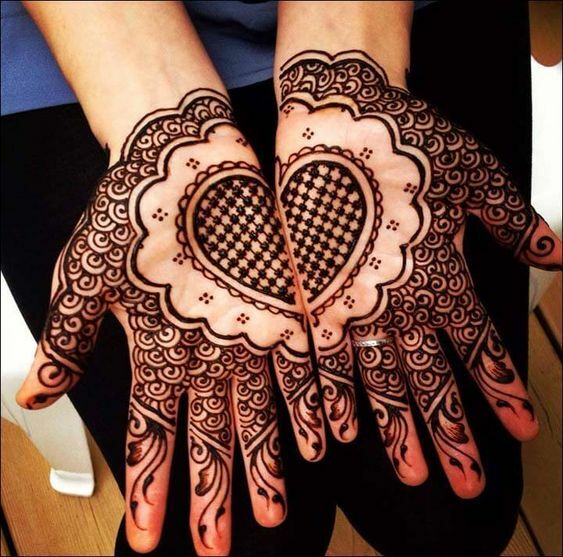 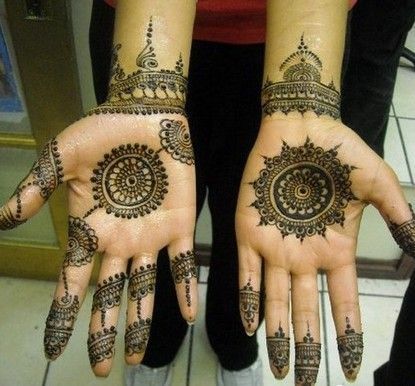 Have a look at this super fun mehndi design on the front hands which has lovely patterns. 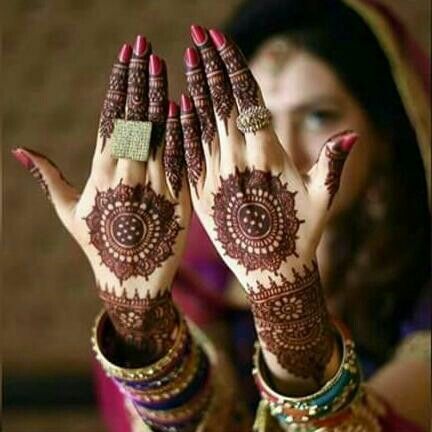 The best part is the half heart on each hand which becomes full when joined together. 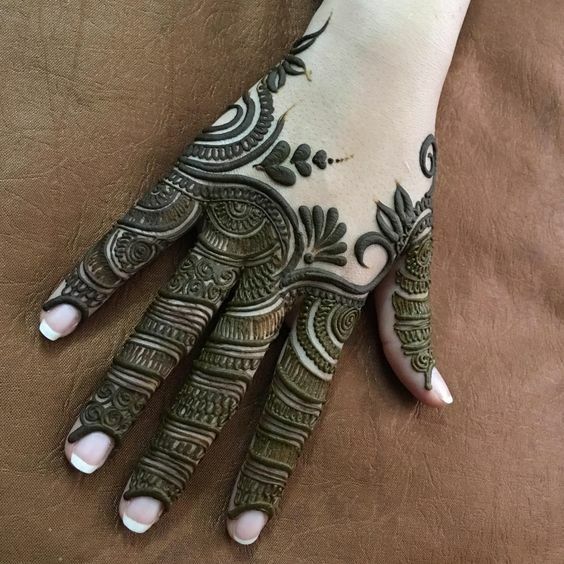 Let's have a look at this stunning bridal mehndi design which also has a lot of work on the fingers on the back of the hand. 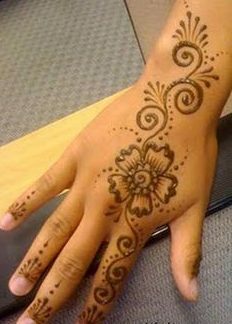 Apart from fingers, the whole hand has been kept blank which looks super elegant, You can get this design made on any kind of occasion.